Catching whooping cough is such a child’s game – literally! While babies are fair game for this merciless disease, it strikes people of all ages with the same fervor when it’s going around. Whooping cough, also known as pertussis, is a contagious coughing condition that needs vigilant care, especially if there’s an infant in the picture. Although antibiotics may help to prevent the spread of the infection, you can get rid of whooping cough with natural remedies. A bacterial infection is the main cause of whooping cough. While it can affect people of all ages, infants and small children are more vulnerable, especially if they haven’t been vaccinated or have been improperly vaccinated. Whooping cough may prove fatal to babies under the age of 6 months. In severe cases, kids under the age of 18 months may need hospital care. 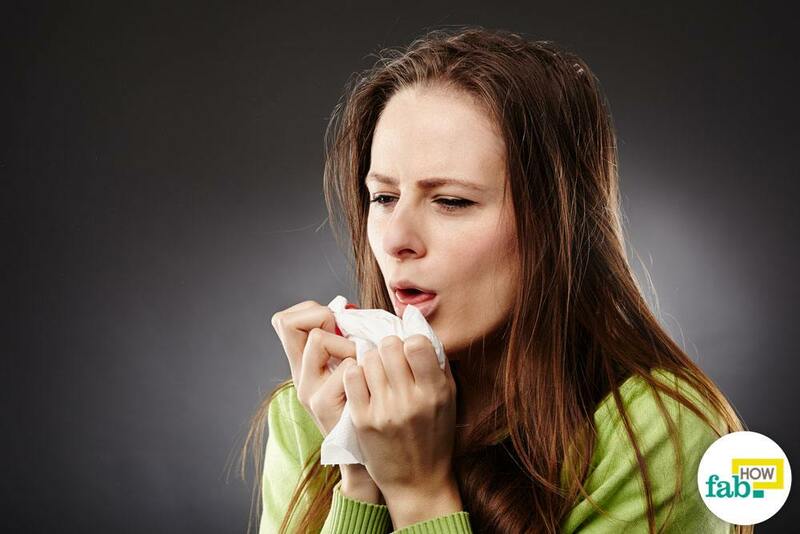 The bacteria affect the upper respiratory system and release toxins that cause inflammation and swelling of the airways. Coughing exertion and lack of oxygen during the spell may briefly turn the patient’s face red or purple. Small kids may vomit after coughing spells. Infants with whooping cough may experience bouts of sleep apnea and should be closely monitored. Whooping cough is extremely contagious, and kids can easily catch it from family members or caregivers, especially if someone’s infected but not showing the symptoms yet. When an infected person coughs or sneezes, droplets with bacteria are ejected that linger in the air and can be breathed in by a healthy person. Preventive antibiotics can be taken by those at risk. Patients can also be given antibiotics that can limit the contagious period to 5 days. Like most contagious conditions, stellar hygiene should be practiced to minimize the spread of the contagion. Cover your nose and mouth with a tissue while coughing and sneezing. Discard used tissue after use. If you don’t have a tissue, cover your nose and mouth with the inside of your elbow or upper sleeve instead of your hands. This helps prevent spreading the germs through hand contact. Regular hand washing should be followed during an outbreak. Hand sanitizers can be used for additional protection. If you or your loved ones are suffering from whooping cough, over-the-counter medicines and cough suppressants are not likely to provide any relief. Antibiotics may help to prevent the spread of the infection, but that’s that. What you can do is get plenty of rest and help boost your immune system, so that your body can fight the infection. 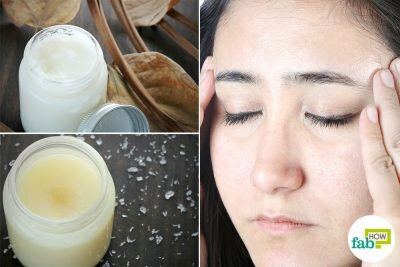 Meanwhile, you can use some home remedies that will help take the edge off the symptoms and keep your energy up until you are well again. Here are some remedies that can help you get rid of whooping cough naturally without drugs. Chicken soup is an old classic for colds and coughs. (3) This chicken stew is a specific version of the usual remedy that aims to boost your immunity and build your strength. 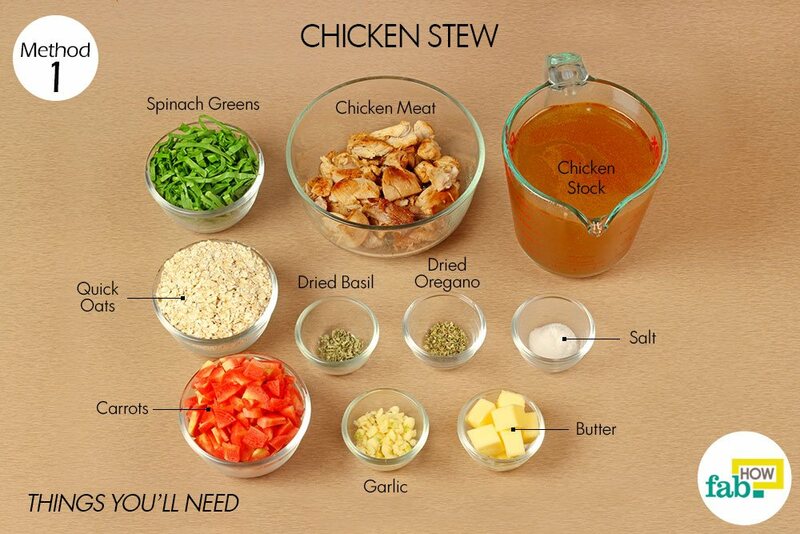 Use fresh, good quality ingredients to make the stew truly nourishing and healthful. Besides being delicious, this stew has anti-inflammatory properties that will soothe your throat. 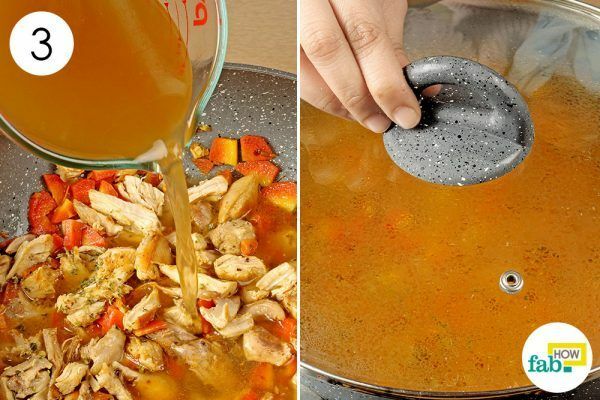 This stew can also help keep you hydrated. Garlic provides strong antibiotic effects. You can also add onions. The high content of beta-carotene present in carrots strengthens the mucous membranes. Oats will strengthen the immune system, while the herbs oregano and basil will act as natural antihistamines. You can also add barley pearls along with the oats. 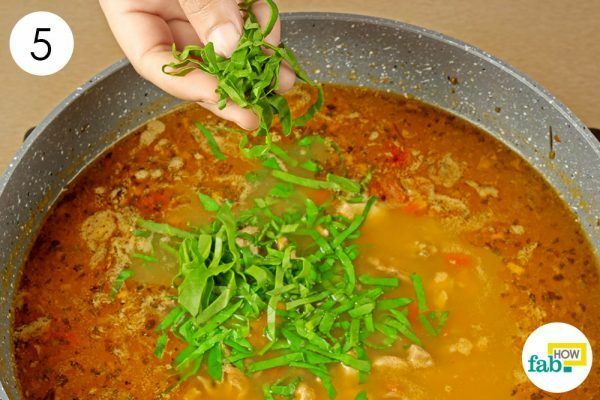 For older kids and adults, you can add chili peppers to the stew to increase the heat factor, which can help thin out the mucus and treat your whooping cough. Put 2 tablespoons of butter in a pan placed over medium heat. When the butter melts, add 4 to 6 cloves of finely chopped garlic to it. You can also mince the garlic instead of chopping. Let the garlic brown a little before adding the next ingredient. Add ⅔ cup of chopped carrots to the pan. Add in 1½ cups of cooked chicken. 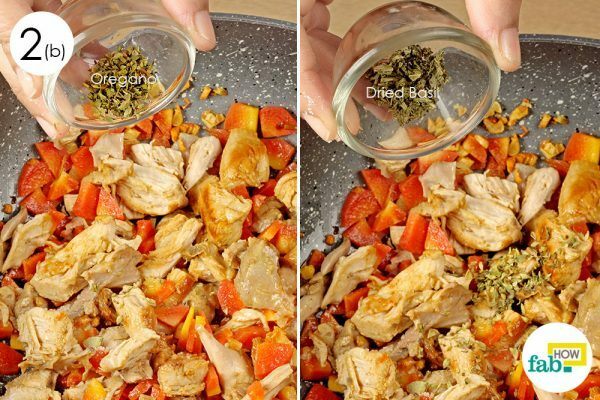 Add ¼ teaspoon each of dried basil and oregano. Pour 6 cups of chicken stock into the pan and bring it to a boil. Turn the heat down, cover the pan and let it simmer for a couple of minutes. Add 1 cup of quick oats to the pan. Let the contents of the pan simmer for 45 minutes. Finally, add 1½ cups of shredded spinach greens. Let it simmer for another couple of minutes before taking it off the heat. 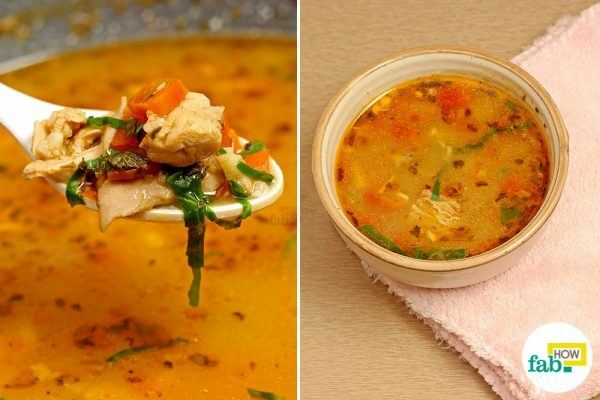 Enjoy the warm stew for relief from coughing. 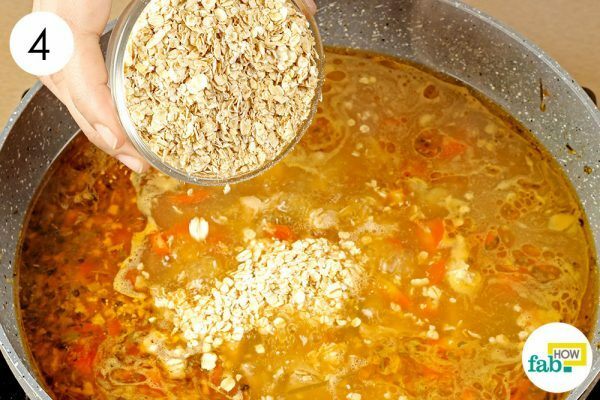 Spoon warm stew into a bowl and enjoy it as a meal once or twice a day until you get relief from whooping cough. Vitamin C, also called ascorbic acid, can help you get relief from whooping cough. The best thing about vitamin C is that it also helps build lasting immunity against whooping cough, which you can pass on to your children. In particular, for children under the age of 6, who tend to come down with these infections more often, supplementation with vitamin C can certainly be beneficial and of minimal risk. The starting dose for vitamin C powder or sodium ascorbate is 200 to 375 mg per kg of weight for a period of 24 hours. Prepare the initial dose according to your weight. For adults, mix 2 teaspoons (10 grams) of sodium ascorbate in the required amount of water and split it into 4 or 5 doses throughout the day. The doses should be further diluted at the time of consumption. For children, vitamin C can be mixed into baby formula or breast milk. The weight of the child should always determine the dosage. For infants, express breast milk into a container and mix a pinch of vitamin C into it. Feed it to the child drop-by-drop with a sterile dropper over a few minutes. For an easier approach, you can also insert the dropper into your child’s mouth during breastfeeding. Loose bowels are the telltale symptom of vitamin C overdose. It’s just the body’s way of flushing out the excess vitamin C, nothing to worry about. If loose bowel symptoms appear, cut back the dosage by 50 percent and monitor closely. Ginger is a natural expectorant that can help expel the mucus from your system. 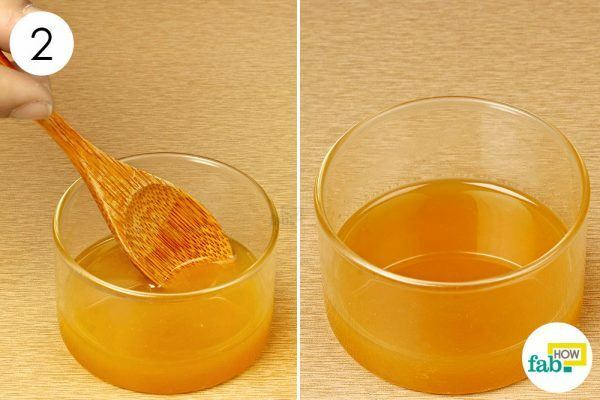 It is a go-to remedy for many suffering from cold and cough. 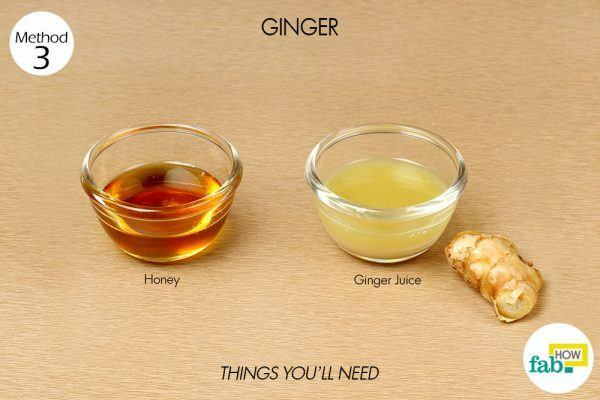 (5) As the ginger aids the bodily mechanisms to expel the mucus, it will tamp down the severity of the coughing. 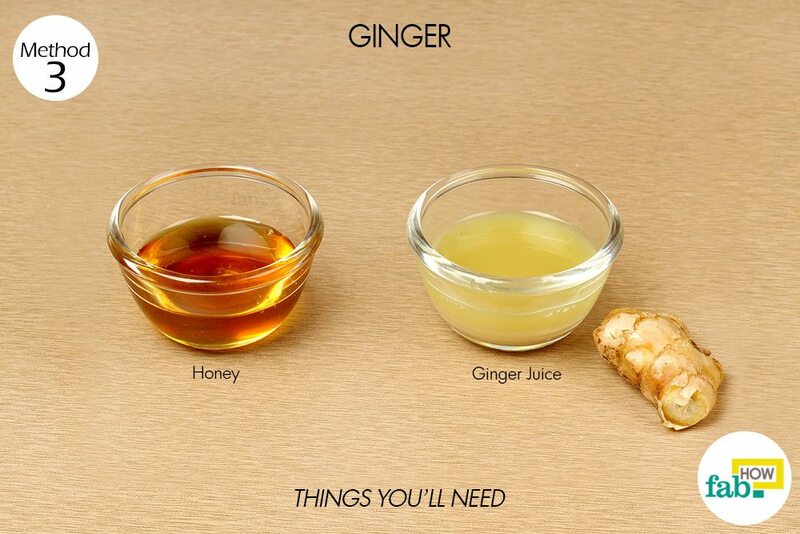 Honey is the best companion for ginger and can soothe your throat and improve the taste for the young ones. Lemon juice or turmeric may also be added to boost the efficacy of the remedy. While vitamin C in the lemon will thin out the mucus and allow it to be easily expelled, turmeric has its antibiotic and anti-inflammatory properties to contribute. Put 1 tablespoon of freshly extracted ginger juice in a small bowl. Add 1 tablespoon of raw, unfiltered honey. 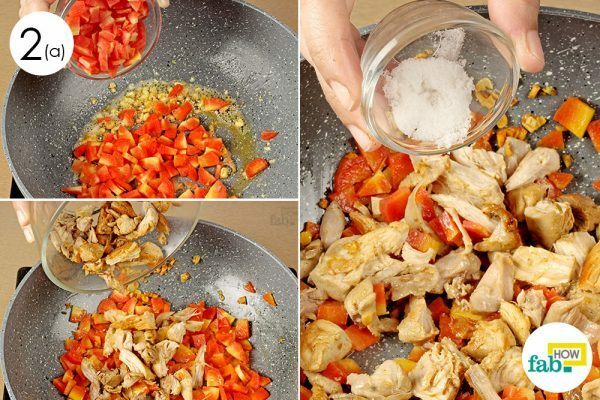 Stir the ingredients to mix them thoroughly. 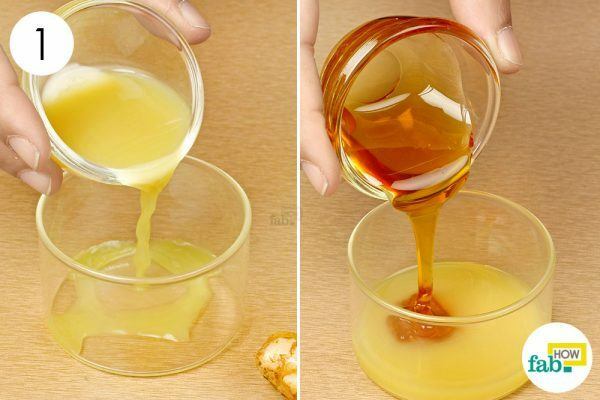 Consume this ginger-honey concoction twice a day until the symptoms completely subside. You can freeze the stew for long-term storage. 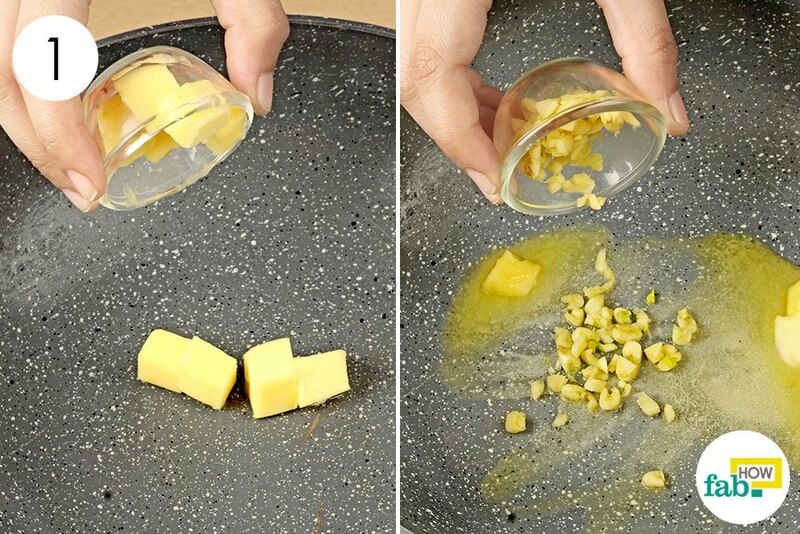 Use silicone muffin molds for portioning and easy extraction. Transfer the frozen stew to freezer bags for lasting storage. Skip the chicken and puree the stew to turn it into delicious baby food. Beans, chickpeas, and lentils can be added to increase the protein content of the stew. The vitamin C treatment may prove ineffective if you are eating a diet high in sugar. Sugar can compete with vitamin C for transportation in the cells. You can add an equal amount of lemon juice and onion juice to the honey and ginger concoction and consume 1 teaspoon of the blend twice a day. You can also mix 1 teaspoon of ginger juice in 1 cup of a slow-brewed fenugreek decoction and consume it as a whooping cough remedy. Moore, Ashdown, Roberts, Grant, Harnden. Clinical characteristics of pertussis-associated cough in adults and children: a diagnostic systematic review and meta-analysis. White Rose Research Online. http://eprints.whiterose.ac.uk/116548/. Published August 1, 2017. Kline JM, Lewis WD, Smith EA, Tracy LR, Moerschel SK. Pertussis: a reemerging infection. American family physician. https://www.ncbi.nlm.nih.gov/pubmed/24364571. Published October 15, 2013. Thielmann A, Gerasimovska-Kitanovska B, Buczkowski K, et al. Self-Care for Common Colds by Primary Care Patients: A European Multicenter Survey on the Prevalence and Patterns of Practices-The COCO Study. Evidence-based complementary and alternative medicine: eCAM. https://www.ncbi.nlm.nih.gov/pmc/articles/PMC5050368/. Published 2016. 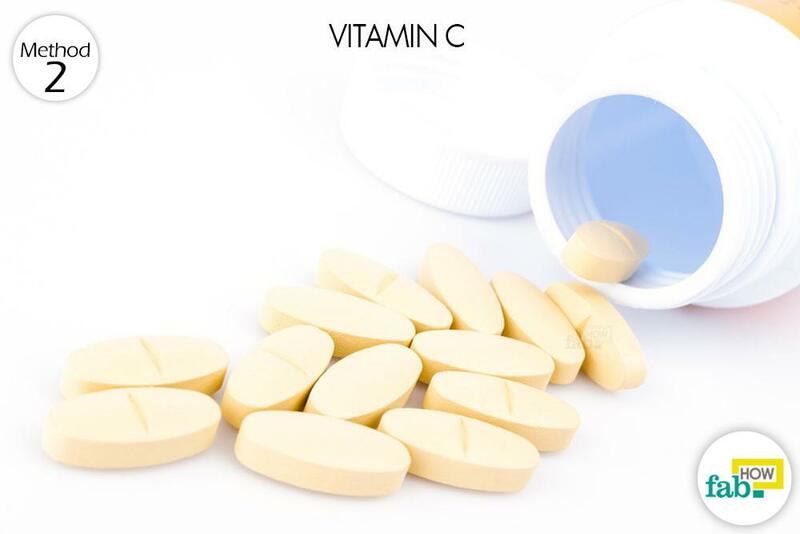 Vorilhon P, Arpajou B, Vaillant Roussel H, Merlin É, Pereira B, Cabaillot A. Efficacy of vitamin C for the prevention and treatment of upper respiratory tract infection. A meta-analysis in children. European journal of clinical pharmacology. https://www.ncbi.nlm.nih.gov/pubmed/30465062. Published March 2019.